The Civic Awards, now in its 60th year, is an annual tradition where we celebrate both long time and unsung heroes in our community. 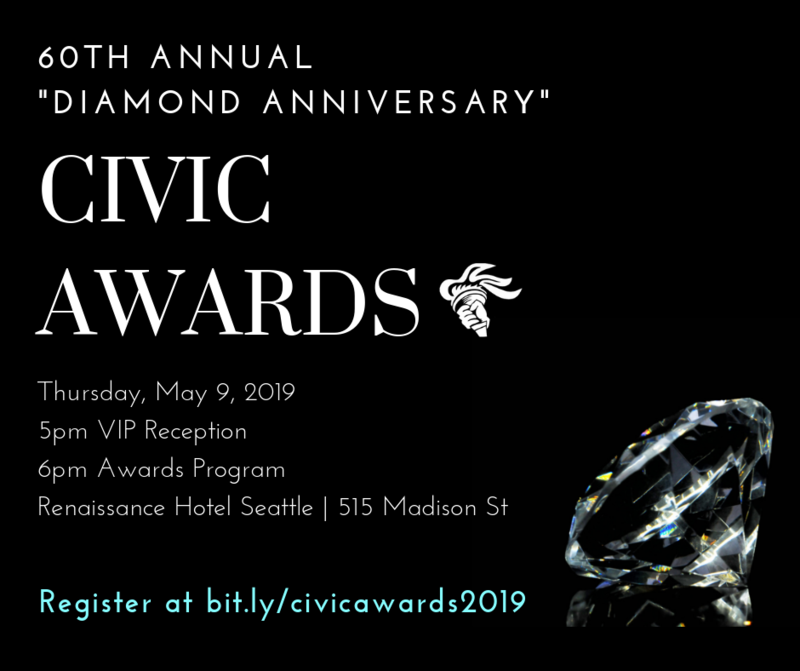 The Civic Awards recognizes the accomplishments of elected officials, public employees, citizen groups, the news media, and individuals who make outstanding contributions to the community leading to better governance. The Civic Awards is the Munileague’s largest event of the year – bringing over 200 people together for an evening of civic celebration and networking. "I had a couple I invited to my table who has worked all over this country in high level positions and said they have never experienced so much inspirational commitment to common ground. They did not think an event like this was possible." "That question is staying with me. Why do I look for common ground? It was such a compelling question and you weaved it in with value and yet quickly. That and the entire night was so well done." "Seeing so many awesome people being recognized for fighting for equity and equality in our state of WA was truly inspiring." 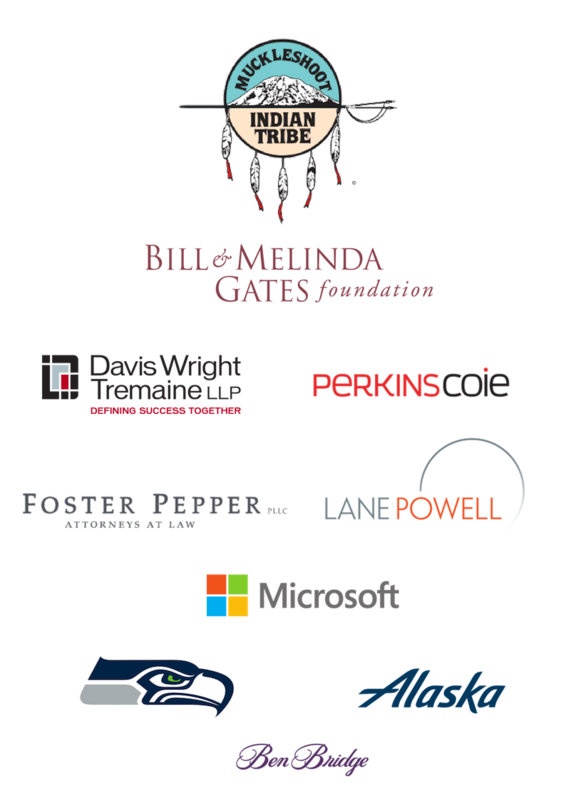 THANK YOU TO OUR 2019 CIVIC AWARDS SPONSORS!